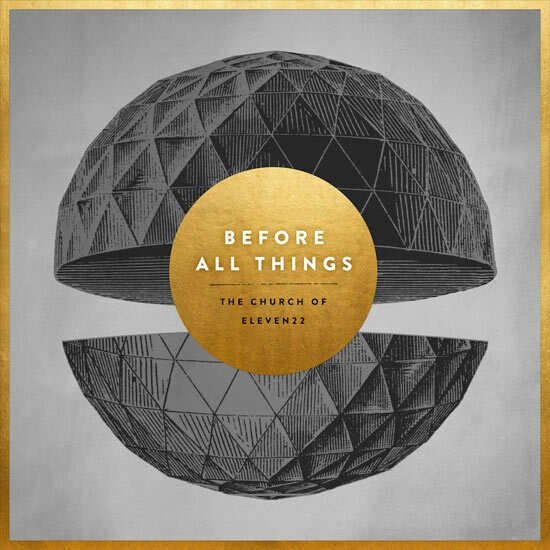 Jacksonville, FL - Eleven22 Worship, a musician community dedicated to creating worship songs that reflect the culture surrounding The Church of Eleven22, is releasing their third full-length album Before All Things today, September 4. Before All Things reflects the creative outpouring of a community seeking to experience corporate worship in a new way. On September 19, the church will host a special album release and worship event during their annual "Saturated" event. "Saturated" is a 5-day event where speakers from across the country journey to Jacksonville to lead the community in revival. Eleven22 Worship, led by Worship Pastor Ben Williams, is a collective of artists driven to create songs of worship that are theologically sound, while speaking the language of their community. As on their acclaimed previous releases, Fall On Your Altar and The Reason, Before All Things is musically innovative and fresh, unable to be locked into just one genre or category. With this new album, the Eleven22 Worship curated ten original songs penned by their internal church worship community. "We have been given the opportunity to write and record songs straight from our heart," explains Pastor Ben. "These songs are written with authenticity and reverence for our creator. We have learned that He is "Before All Things." He is our cornerstone and as we prepared ourselves to be used by Him, we realized that He was even before our preparation. He is our heartbeat, our breath. He is before all things."